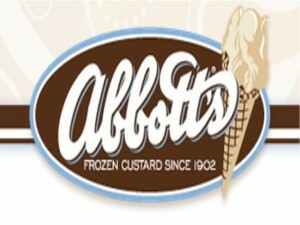 Abbott’s Frozen Custard is a privately-owned frozen food company headquartered in New York, USA. The company is focused on creating a wide variety of frozen desserts. Abbott’s story started in 1902 when a young Arthur Abbott, hardworking and enthusiastic, spent his days traveling with carnivals entertaining people and spent his nights trying to perfect a frozen dessert from his own secret recipe. While Abbott worked at the carnivals during the day, he also peddled his frozen dessert creation and was soon able to save his profits. In 1926 when Abbott settled in Rochester, New York, he opened up a store in a location where there was a bustle of activities from the amusement park. People who were at the park got to try Abbott’s frozen dessert and found that they liked it. Soon, Abbott’s frozen dessert spread by word of mouth and more people came to his shop every day to buy his product, which he called Abbott’s Frozen Custard. In the succeeding years, Abbott expanded his market and opened shops in Massachusetts (Riverside Park) and another in New York (Playland at Rye Beach). When Abbott entered his seventies, he decided to retire from his frozen dessert business. However, in 1957, he met Leonard Schreiber and Thelma Schreiber, both very avid fans of Abbott’s Frozen Custard. Abbott then decided to let the Schreibers continue with the frozen custard business, and they went on to expand the business and commission its first franchise. In 1981, Thelma Schreiber introduced a new product under the Abbott’s name. This new frozen product was named the Turtle, and until it is still one of the most well-known products of Abbott’s. Today, the original Abbott’s shop still continues to operate, with a large base of customers who patronize Abbott’s products. The business as a whole continues to expand in different parts of the country. Abbott’s frozen products have also consistently received awards and recognition for its excellent quality and taste. Abbott’s now offers franchises, as well as catering for different events. Every Abbott’s shop offers a wide range of sundaes, novelty products, flurries, shakes and floats. It now also carries cakes and pies as well.